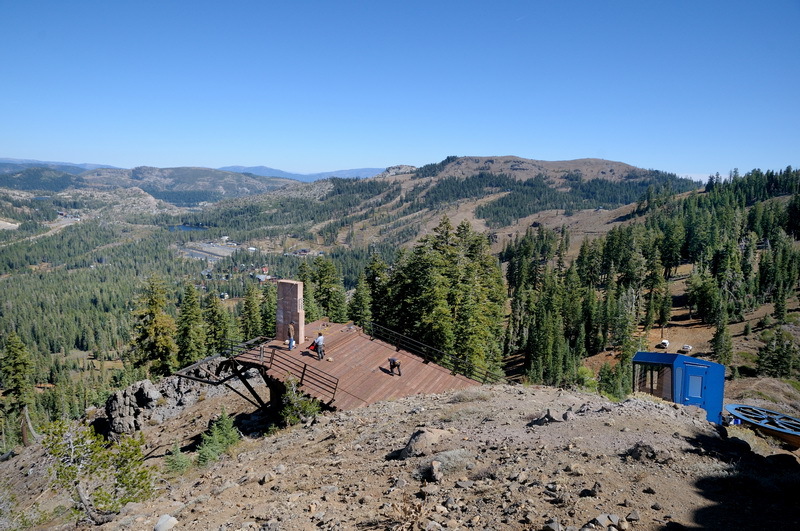 Took a walk up to Crow’s Nest last week to check out the new lift at Sugar Bowl. 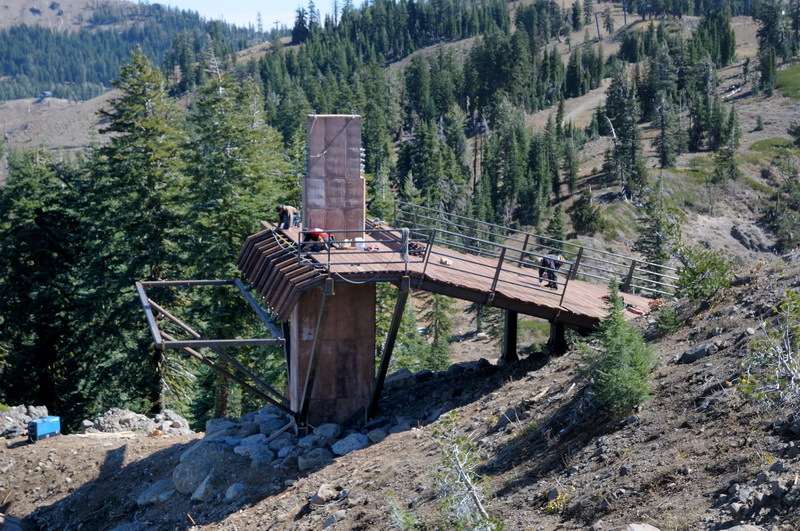 As you can see from the pictures below, the top of the lift is still in the construction stage. 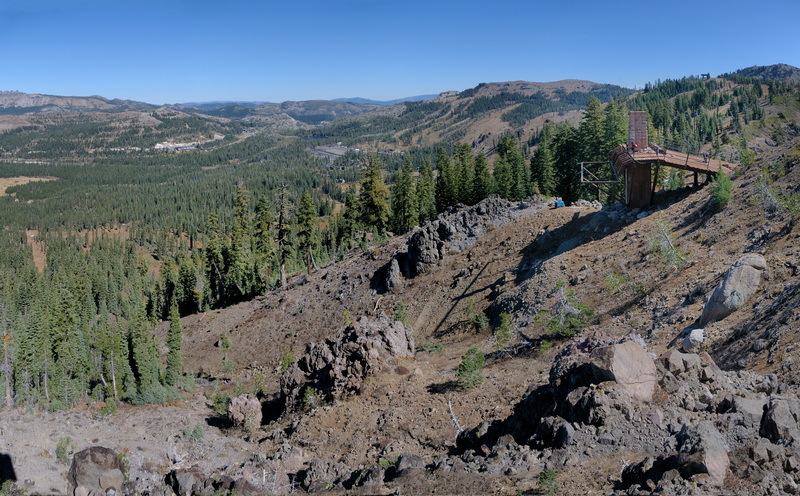 I was surprised that progress was not further along since Sugar Bowl has been working on it all summer. As far as I could see there were no intermediate towers put in yet. I couldn’t even see any footing for the new towers. 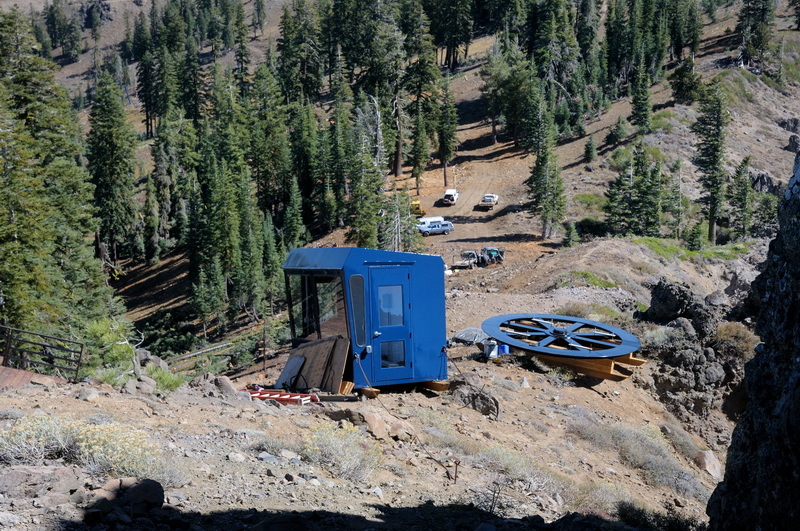 I’m thinking that Sugar Bowl is going to have to really get a move on if they want this chair up and running for this season. It is not unheard of to get a couple of feet of snow in October and/or November than could shut down construction. It looks like there are going to be several pretty steep runs off of this lift including a “gun barrel” chute right down the face of Crows Nest. This should also offer pretty easy access to skiing Strawberry Fields. I have to wonder a little about the decision to use a lift with a triple chair and no variable speed access. While it probably really saves on the cost of the lift these days, variable speed access is really what everyone has become used to and I think it allows for faster lift speeds overall. We shall see. Great site! We’re flying towers in this weekend!! Peter – I’m planning on getting some pics of the installation this weekend. I may be wrong but I thought that you could not dig in the ground on the summit past like November 1st?